View the qualifying guidelines for the 7th Annual Texas Junior Cup Matches Presented By TCG Advisors HERE. 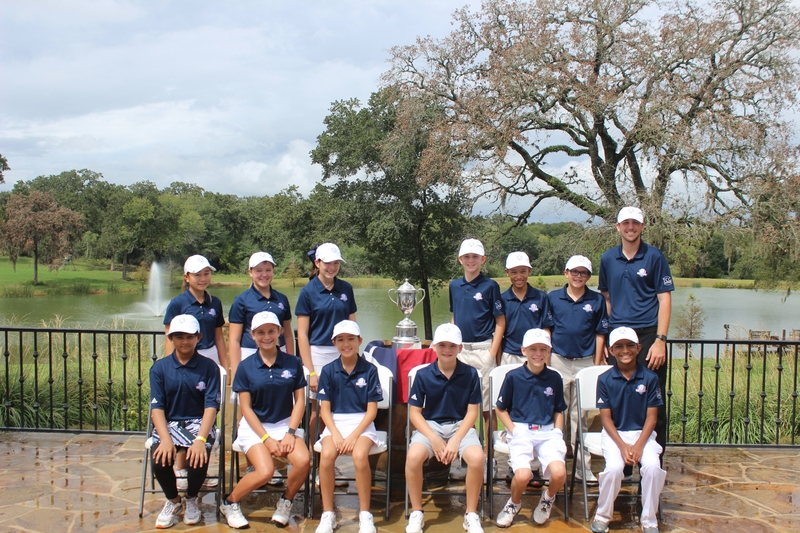 The Texas Junior Cup Matches Presented by TCG Advisors is an annual competition between the Northern and Southern Texas PGA Junior Tours' top six boys and top six girls aged 9-12. The Ryder Cup style format features 9-hole Scramble and Four-Ball Matches the first day followed by 9-hole Singles Matches on the final day. The Matches provide a unique, one of a kind experience for each Tour's younger and more experienced junior golfers. Members from the Northern Texas PGA and Southern Texas PGA teams qualify to compete via All American Tour / NTPGA Junior Tour and Prestige Tour / STPGA Junior Tour events respectively.